Create Clarity. Find Freedom. Heal and Release. Metaphysical Retreat with Lauren Burns. awareness via the messages of embodied wisdom. Understand more deeply, what the body is communicating, and decode it's messages back to living a more full, rich and joyus life of pure potentiality. The MI journey takes you back to a place of remembering your absolute potentiality and and bring your awareness, and allow for an embodied appreciation of this sacred life. Remember that life, and you can reside in a state of harmony, grace and ease. To remind you that of the your power in conscious co-creating your life. This powerful personal development journey is those looking to expand their existing healing or teaching business, or perhaps start a new one. Or can be undertaken purely for personal development. Medicine - to make whole and complete. Intuitive - Acknowledge and trust the inner teacher and guidance that resides with you. Discover the universal body of knowledge known as Medical Intuitive. 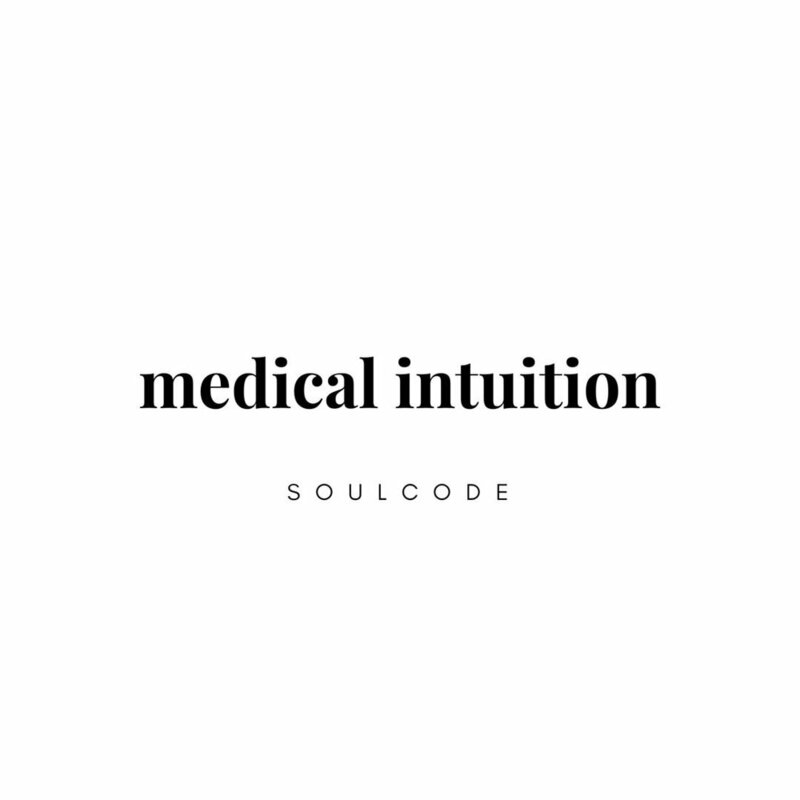 Medical Intuition and the elements composed within it have been around in many forms for thousands of years, throughout the ages, throughout many lifetimes. different forms of medical intuitive healing practices have been used although in the past not always labelled as such. Historically there is recorded tangible evidence of healing as far back as Egyptian, Aztec, and Mayan cultures, most of which using the foundations of Medical Intuitive. It is the art of making "whole and complete". Medical intuitive is using the art of healing to make whole and complete. It is a body of universal knowledge of which we all have access to that allows us as humans to come to the awakening that life is complete, harmonious and of an abundant conscious creation. Medical Intuition gives us the tools and framework to come back to the oneness or “absolute” of which each of us are a part. To remind us that we are the co-creators of our life and our destiny in abundance and love. When we access the healing wisdom held in Medical Intuitive we can remove the human illusion of separation, illness and disharmony. In this space we are able to work on a multidimensional plane to transcend and ascend in the healing process, on a quantum and cellular level. Accessing the alchemy of emotions, accessing the wisdom and template of sacred geometry, crystals, plant essences, biofeedback from the body, the energy centres in the body (chakras), kundalini energy, DNA and our own unique energy blueprint. Medical Intuitive practices access the universal knowing and oneness, and allow us to tap into our complete potentiality and brilliance. Medicine is to heal - to make whole and complete. Intuitive references the subconscious brain, by allowing us to tap into the multidimensional knowing of all that is, all that has been, and all that there is to be. When we access the intuition we are accessing the universal mind. We can first apply it our own individual “story”, yet also feel how our own story connects into the greater collective consciousness. Medical Intuitive shows us how to become liberated from limiting thoughts and beliefs we may hold about ourselves in all areas and aspects of our lives, such as relationships, career, family not just our physical health. Body awareness - how is the body speaking, what is it saying? How emotions relate to dis-ease. Detailed workbook provided for personal and professional reference post training. Kundalini - what is it? Is this course for you? Answer yes to the following, and the answer is yes! You are ready to reach your fullest potential and release limiting beliefs and patterns. Your life has reached a point of awakening and transformation. You are ready to launch or enhance a heart based business that will help the health of the planet, while you get to do what you love! Full Payment is required at the time of booking. No refunds are given, so please ensure you are fully committed to this undertaking before applying. Click on the button below and place your payment through the online store. Are you FINALLY ready to step into life of clarity, abundance and purpose? To discover and CLAIM what it is you really want and what your TRUE purpose is? 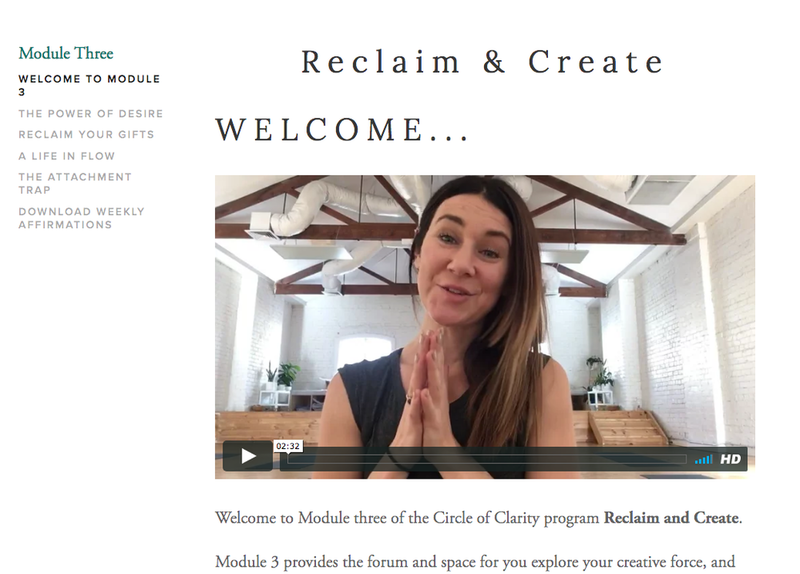 I've designed the "Circle of Clarity" program to help you get unstuck, and get crystal clear on you life purpose & passion. To connect to the ABSOLUTE potential of the life you've always dreamed of in all areas: Money, relationships, body & self love, career passion, community, personal growth, fun & freedom - YES PLEASE!! Video Content and an entire module unlocks each release. You feel stuck, burnt out, depleted and exhausted by having to "hold it all together". You feel like you're energy is being pulled in a million different directions, and you don't feel like you are living your truth. You are done with the overthinking of trying to figure out what it is you want to be doing with your life. You want to to clearly define, articulate and actuate your needs and purpose. You want to create a plan/map to ACTION some magic. To finally meet what you seek. To move into life with PURPOSE & PASSION. You're over the self sabotage, overcommitting, and procrastination, that loose you swathes of time. You KNOW that constantly checking social media feeds, dealing with everyone else's issues, ignoring your own deepest needs is ultimately result in stress, burnout or worse, illness. You know it’s time to put yourself and your desires at the forefront again. And connect to the freedom and CONFIDENCE of simply being the real YOU. You are tired of that niggling voice says "maybe you will never really know what your purpose". Perhaps you are starting to loose trust in yourself and your ability to make clear intuitive decisions, and your inner critic insists "it’s too late change direction". Clarity is what you need. Your money story is keeping you stuck in a job you've outgrown, but you can't shake the should's of doing the "right thing", someone's gotta pay the bills right? You've learned to suppress your desire for living doing what you LOVE. You feel like even if you did claim your life passion and purpose, that you are not specialised, qualified or expert enough to pursue it. You are caught in the comparison trap, and in the purgatory of "better the devil you know" land. Your relationships are suffering as a result of the haze. You know maintaining intimacy in your romantic relationship is an important but finding the energy/time to invest in it feels lost in the day to day. You want and desire more passion and excitement in your life - energy to do anything eludes you. Learn more about how to step into this sacred journey. What is a vision board, and why do I need one? It’s a powerful tool that helps you to get clear on your desires. It’s a large image board that you design in line with your souls desires, and life goals. Countless self help guru’s swear by these tools, and are part of the success for so many who are achieving their dreams. Working with a vision board will anchor you DAILY to your desires, and without it you may find yourself manifesting by default – agh! No the subconscious mind responds to symbols and images. Success? Yes! These monthly gathering circles are for those curious and interested in exploring the energetics of group meditation, supported though the subtle vibrational energetics of the crystal grid. These mystic meditations can become an integral part of your self-care ritual by cleansing your energy body. You are invited to bring along your own crystals to charge in the grid altar, or you may simply choose to take an immersive journey through the subtle energy body. The format may vary based on the needs of the group, but each offering will have us sharing in meditations, teaching transmissions, and soulful dialogue. These gatherings are for you if you are seeking a meaningful monthly ritual, or/and to simply be in held conscious presence with like-minded community. allow you to listen to your body and to create a lasting shift of awareness. Sunday 29th October, 2-5pm, Open to all levels. Lauren is thrilled to be returning to Kyneton to share this special Yin Yoga workshop designed to have you feeling fully connected and centred into the landscape of the heart. Spring, the season to activate your personal confidence. Radiate the true essence of you, and reconnect to your divine power. Spend some sacred time immersed in the energy of the spring season discovering ways to nurture and rebirth self this Spring. Join Lauren as she takes you through an extended and nurturing yin practice, and divinely held healing space, activated by a powerful crystal grid. Be guided in a ritual based space to commit to the devotion of you, to the rebirth of the real you this Spring. Immersing in the cocoon of winter, this 3 hour workshop will take you on a physical, emotional and energetic journey through a series of asanas, visualisation practices, and sharing to open deeply to the messaging of the heart space. Cultivating an energy that will see you into remainder of 2017, aligned to heart. This workshop will move through a series of rich embodied Yin Yoga postures (suitable for all levels) facilitating space for you to just simply slow down and tune in to the body, mind and soul. Winter is the time to pause, reflect and connect to the heart of your desires, to acknowledge self and to treat your body to a luscious long rejuvenating retreat. • Yin Yoga • Meditation • Reflection Lauren is thrilled to be returning to Kyneton to share this special Yin Yoga workshop designed to have you feeling fully connected and centred into the landscape of the heart. Kyneton is approximately 1hour & 15mins from Melbourne, and there are so many lovely places to stay overnight in the area, so why not make a weekend of it! Phone: 0438 010 199 for enquires. Join me as I lead an energetic clearing inspired guided meditation each month at the Australian Yoga Academy Seddon, accompanied by crystal healing bowls, sacred clearings and sacred geometry crystal grids. Harnessing collective group energy for healings, insight and self inquiry. I guide you through a blend of traditional and contemporary meditation techniques. A sacred circle of oneness. Dates: 8th February, 7th March, 4th April, 2nd May, 6th June, 4th July, 8th August, 5th September, 3rd October, 7th November, 5th December. Fee: $20 Casual session, free for AYA members. Venue: Australian Yoga Academy, 77 Charles Street, Seddon.